The next exhibition will be held on Saturday ? ?th June 2017. The venue is wheelchair friendly, apart from access to the refreshment area. However, stewards will be on hand to offer assistance if required. N gauge three-rail electric layout set in south London around 1967. OO gauge Isle of Wight layout..
OO gauge present day diesel depot. ​3mm layout based on Portsmouth harbour station. 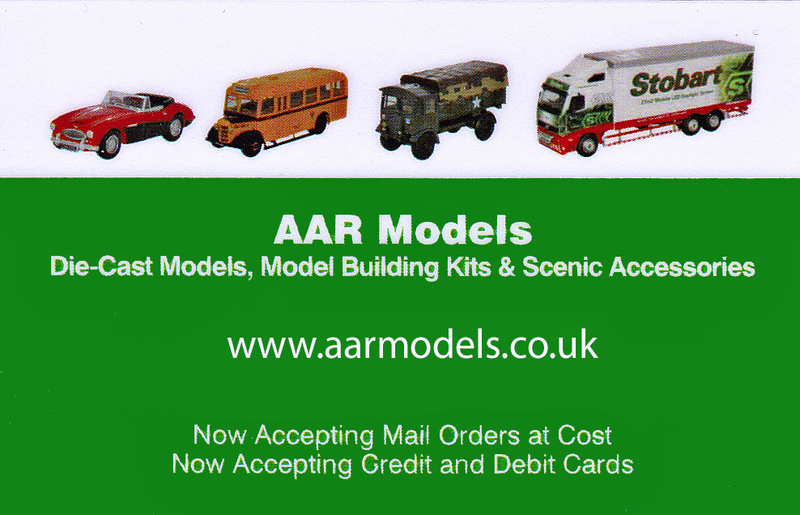 Model diecast / buses and scenics in N to O gauge. 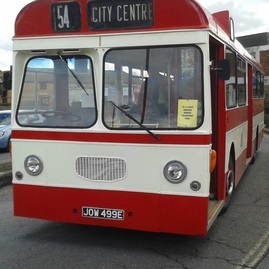 AEC Swift No 1, JOW499E, will be on static display outside. 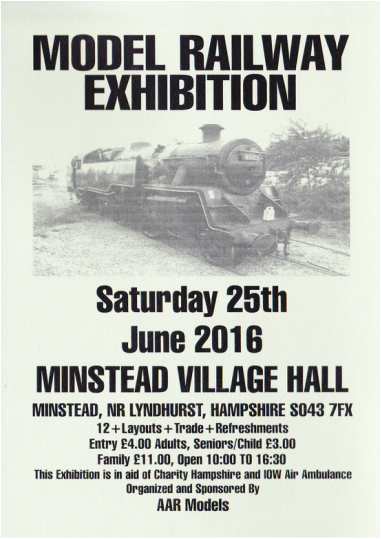 Click here to see some pictures from the 2016 exhibition held on 25th June, which raised £300 for the Hampshire and Isle of Wight Air Ambulance.